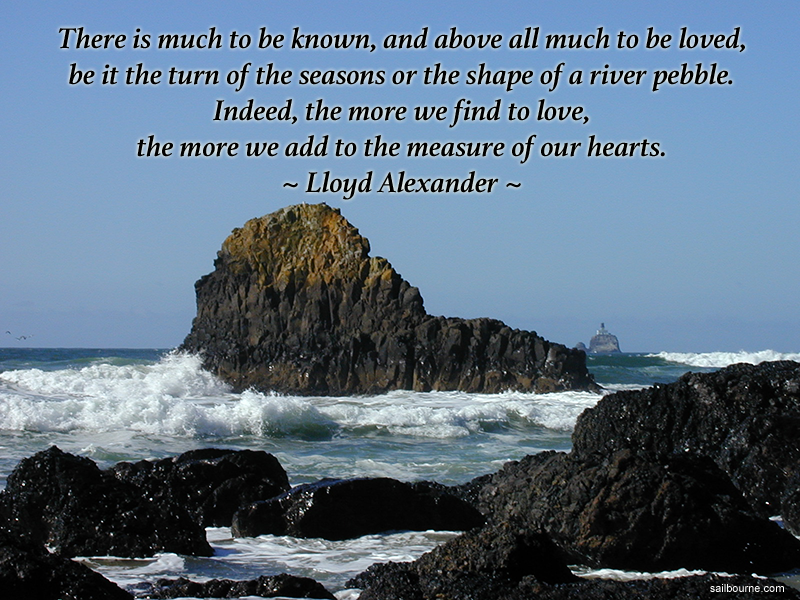 Lloyd Alexander (1924-2007) wrote dozens of books, including The Black Cauldron, the source of this quote. The book is the second in the five-volume Chronicles of Prydain series, which I dearly loved (both then and now). The 1985 Disney movie of the same title actually mashes up the first two books in the series, and is much more an archetypal Disney film than anything else. I probably would have liked it more if I hadn’t read the books! The image for this meme is a photo I took myself, I believe around 2008, just north of Cannon Beach. The Tillamook Rock Lighthouse is visible in the background.